Here at the 37 Club we have two skittle alleys available for both league matches and private hire. Both skittle alleys are fully equipped with alley cameras and screens in the lounge and have access to the main bar and toilet facilities. They are also wheelchair accessible. For league skittles, post-match food can be arranged in advance. The alleys are available for hire at other times. 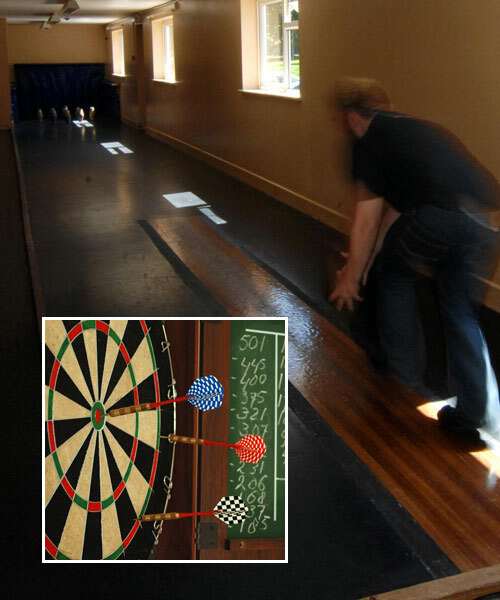 The 37 Club has space for two darts boards and are currently looking for teams to join the local leagues. If you are in a team and are looking for a new team home then please call Jan on 01278 685190 at the 37 club or fill in our contact us page to discuss further. This room is also perfect for smaller parties such as Anniversaries, Funerals and Christenings with the room holding up to 50 persons seated. For private parties a more extensive buffet or plated range can be offered.